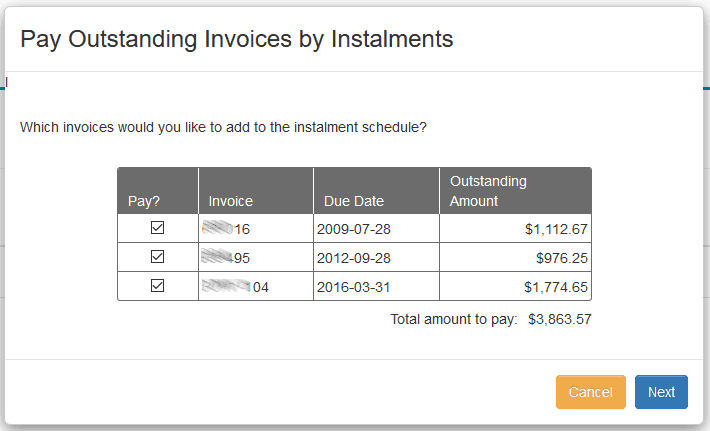 - Regular reminder emails and statements once the invoice is overdue. Each of these emails contains a link to pay some or all of your invoice via our secure payment facility. Below are step by step instructions on how to use our facility after clicking on the link in an email. 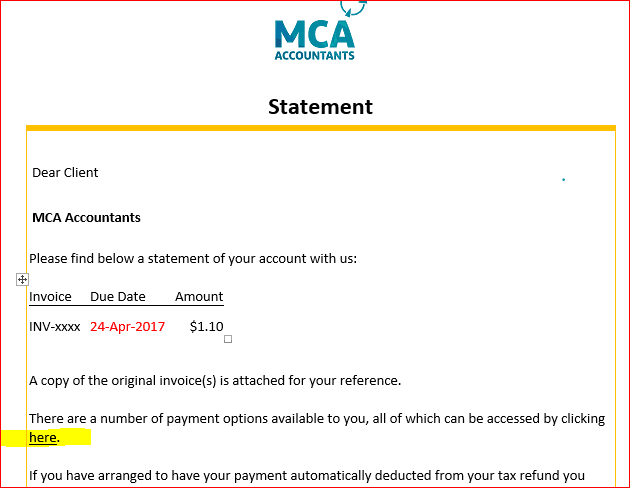 If you have accessed our payment portal by clicking on a "pay now" button (either on the invoice or on our website), or if you've manually navigated to www.mcaaccountants.com.au/paymybill, then you will need a slightly different set of instructions available here. 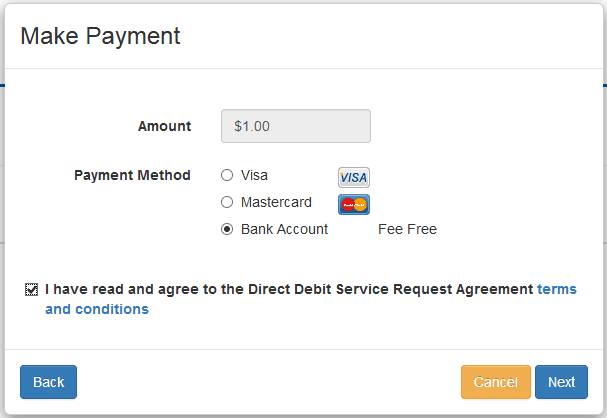 The link in the email will open up our payment facility and enable you to pay any and all outstanding invoices you have. 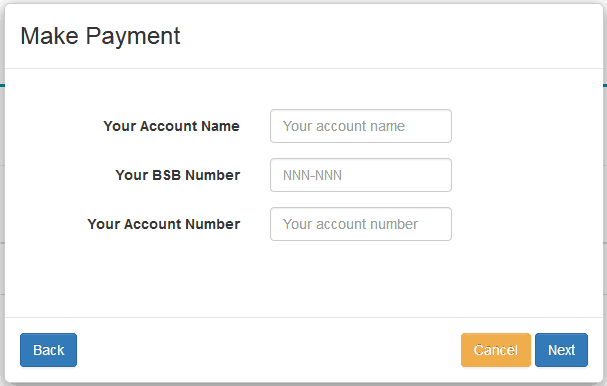 We offer a standard installment plan of 5 fortnightly payments which can be accessed via the green "Accept installments offer" button. If we have offered you any custom installment plans, these will be available here also.